Twitch Broadcast on winning chatbots, now on for Tuesday, August 29th! We had a little hitch in our giddy-up for our originally-scheduled program, but we're on track now! Join us Tuesday, August 29th, on the AWS Twitch Channel for a live coding session with AWS Evangelists, Randall Hunt and Tara Walker. They're diving in to the winning chatbots from the AWS Chatbot Challenge! The judges have weighed in, and our community has voted! Go to the AWS Chatbot Challenge gallery to congratulate the winners and check out all of the awesome submissions. Don't forget to join AWS on Twitch at 3PM PT, 6PM ET today to discuss the winning submissions! *drum roll* Ready to talk about the winners of the Chatbot Challenge? Join us on Twitch for a Live Coding session with AWS evangelists Randall Hunt & Tara Walker, where they'll be diving into the winning chatbots! Submissions to the AWS Chatbot Challenge are due in less than 24 hours! Submit before the contest deadline of July 18, 2017 at 5pm PDT. See our latest update on what's required in your final submission here. Submissions to the AWS Chatbot Challenge are due before July 18, 2017 at 5pm PDT! Remember to review the submission requirements on our hackathon page and make sure you have included all the required elements. After the competition closes, our judges will review each entry and select the winners! Although it is unlikely, we may reach out to you if we determine that we need more information regarding your submission during the judging period. Join us on Twitch for a live-coding session today at 4PM ET! Slack and AWS join forces live on Twitch.TV/AWS today at 4PM ET to code a chatbot using Amazon Lex and AWS Lambda! The competition homepage stated the deadline in the wrong time zone. We updated this and now you get 3 more hours! Make sure you submit by July 18th, 2017 - 5pm PDT. Your repos can now be shared through Bitbucket or Github. Private repos on either service must be shared with testing@devpost.com before the deadline. Join AWS and Slack on June 26 as we combine forces to live code a chatbot using Amazon Lex and AWS Lambda! We’ll be building a Lex-powered serverless chatbot that lets users grab descriptions of upcoming Twitch episodes and then vote on which one should be next. We’ll cover authorization, operations, and persistence using AWS Lambda and Amazon DynamoDB (as well as third-party authorization through Twitch, Slack, or another provider). Learn more about the business use cases for Amazon Lex. Join this webinar on June 5th! In this tech talk, we will introduce Amazon Lex and walk through use cases for employee assistance, DevOps and, and internal help desks, where Amazon Lex's automation engine creates the potential to reduce costs, improve service quality, and create new ways to access corporate information. Looking to dive deeper into serverless computing? 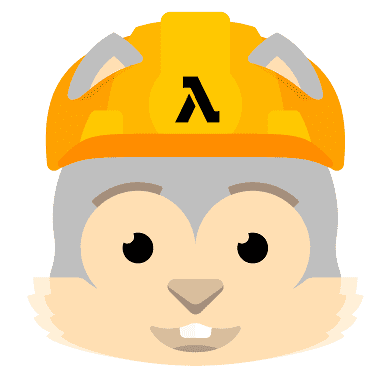 AWS Lambda can be used as a core part of Amazon Lex chatbots, but it can also be used to build serverless applications for a variety of use cases. Join our upcoming free tech talk to learn more about using our Serverless Application Model framework. Join the Amazon Lex Webinar on May 15 (TODAY!) to learn how to integrate your chatbot with any messaging service! Learn how to integrate your chatbot with any messaging service! Attend the Amazon Lex Webinar on May 15th! Amazon Lex offers built-in integrations with Slack, Twilio, Marketo, Salesforce, Quickbooks, Microsoft Dynamics, Zendesk, and Hubspot. But, you can also integrate with any other application by combining the Amazon Lex API and Amazon API Gateway to extend your chatbots into virtually any use case with minimal effort. This session will show you how. The design pattern shown will be interesting to folks who want to build a pre-processing layer in front of Lex or want to route messages to multiple specialized bots. Need help with AWS Lambda for your chatbot? We have two upcoming online tech talks on AWS Lambda and serverless computing. Register for these free tech talks to learn more about serverless computing. If you missed our online tech talk for Amazon Lex this week, please view the recording on YouTube by visiting here. Looking for help with getting started on your first chatbot using Amazon Lex and AWS Lambda? Join us for an online tech talk on May 8 to learn how to get started with Lex! Register for the webinar here. Building a bot for Slack? Here are some ways to get started! Thinking of building a bot for Slack? Get started with these hand-plucked resources and tools. Send your first Slack bot message in minutes, no baggage, no OAuth. You can build your bot with Beep Boop, a framework for easy-peasy Slack bots, or use BotKit. Empower users to make a precise action with a slash command. Bot UX can go beyond a back-and-forth exchange. Make yours interactive with buttons and menus that help people move work forward. Main submission requirement: Build a bot using Amazon Lex and AWS Lambda. More detailed description of requirements are here. Submissions are due before July 18, 2017 at 5pm PDT. Visit our resources page for helpful getting started links for Lex and Lambda. Ask questions and collaborate with fellow participants in Discussions or our Slack channel.